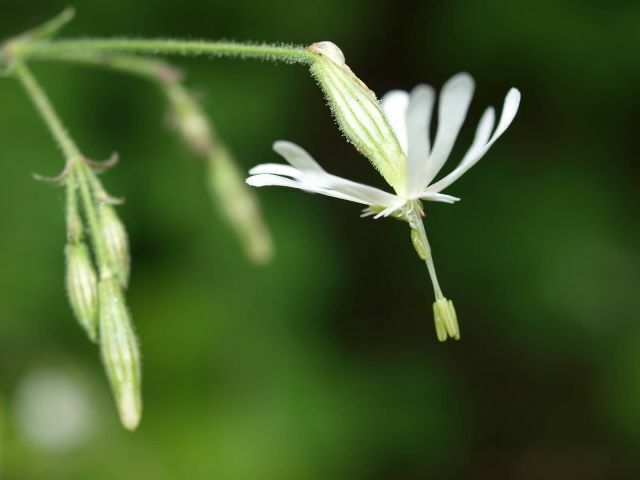 Silene nutans is a flowering plant in the genus Silene, most commonly known as Nottingham catchfly. Silene nutans is spread across Europe, Spain, Italy and large parts of Asia. It grows up to 25-80 cm tall. The petals are white or pinkish and divided into two narrow lobes. Each flower remains open for three nights as a means of preventing self-fertilisation. The flower reveals one whorl of stamens on the first night, the second whorl of stamens on the second night and the three styles on the third night. The seeds are 10-22 mm wide and kidney-shaped.